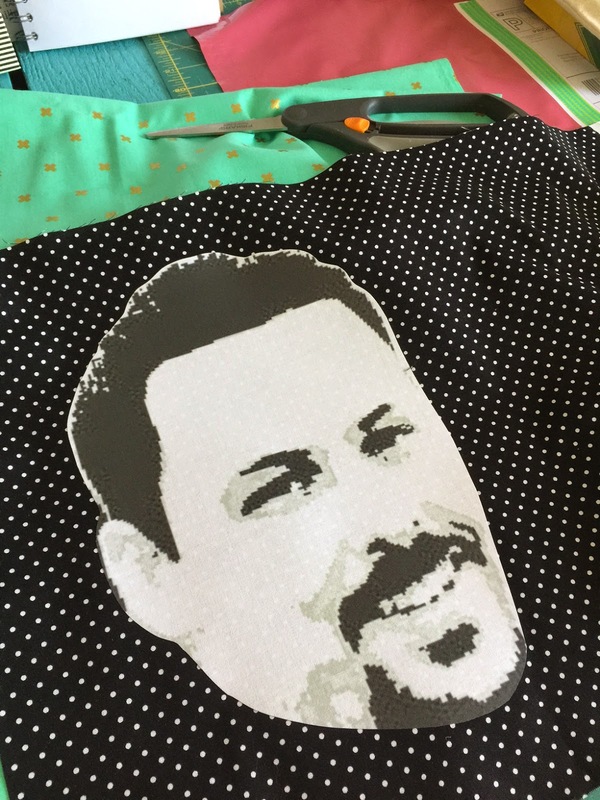 Little Bit Funky: How to make a pop-art pillow! 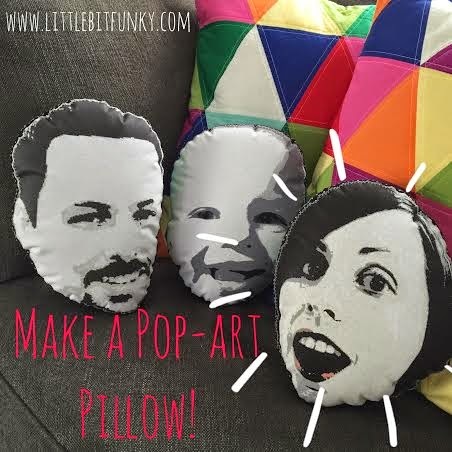 How to make a pop-art pillow! When you friends with a creative type, you just never know what kind of gift you are gonna get! 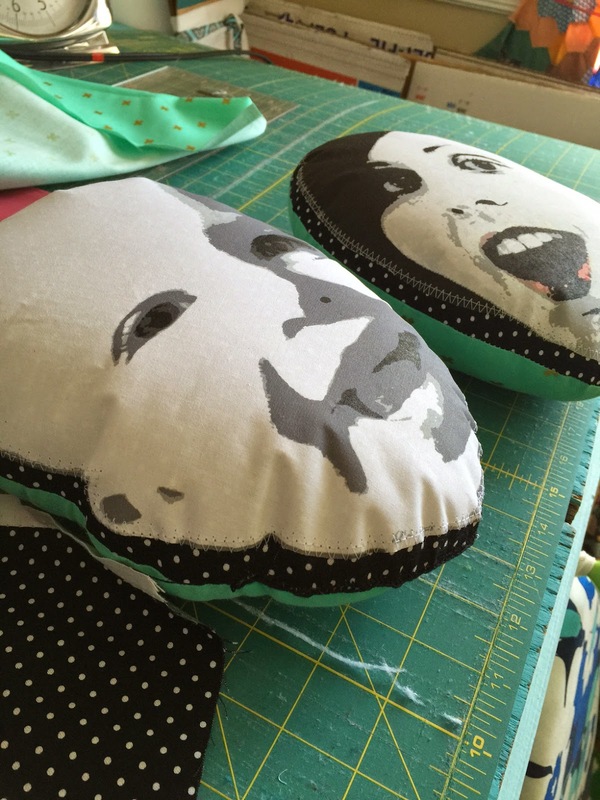 Thankfully, these pillows were a hit with a friend for her recent birthday! They were easy enough to make and I thought I'd share the process with you. 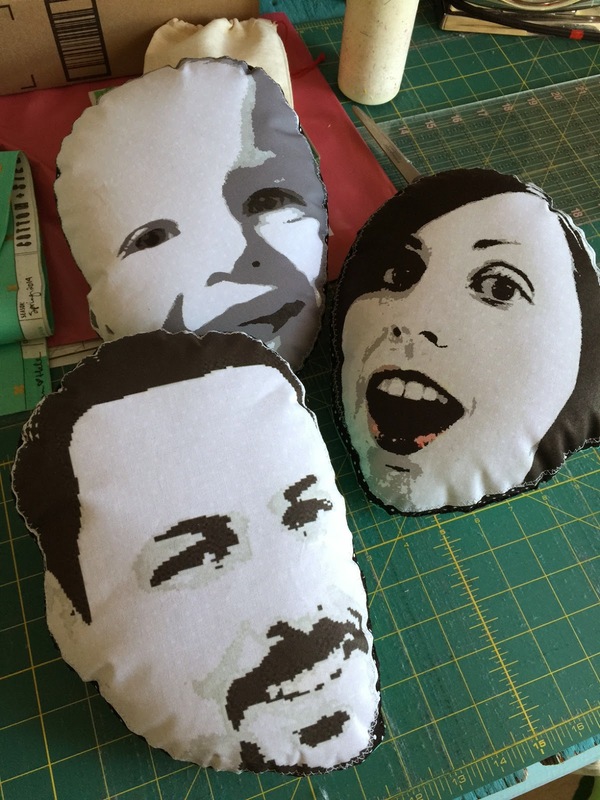 How awesome and fun would these be for kids with a parent deployed? -You'll start by finding a photo that has a good head shot in it. -Crop that photo so most everything else is cropped out except the head. -Crop it as an 8 by 10. -THEN take it to Picmonkey and under "edit photo" you will go under "effects" and choose "posterize". Play around with the number of colors used until the photo gets to look how you would like. "Apply" that and then go under "black and white" and apply that as well. -Save your photo and then add it to a word document. -Make the photo as large as will fit on an 8 1/2 by 11in piece of paper (the size of your printable paper). -Print out on your printable paper using the photo settings on your printer. Then, iron your face onto the cotton you want to use as the front. Be sure there is at least 2in on all sides of the face if not a little more. 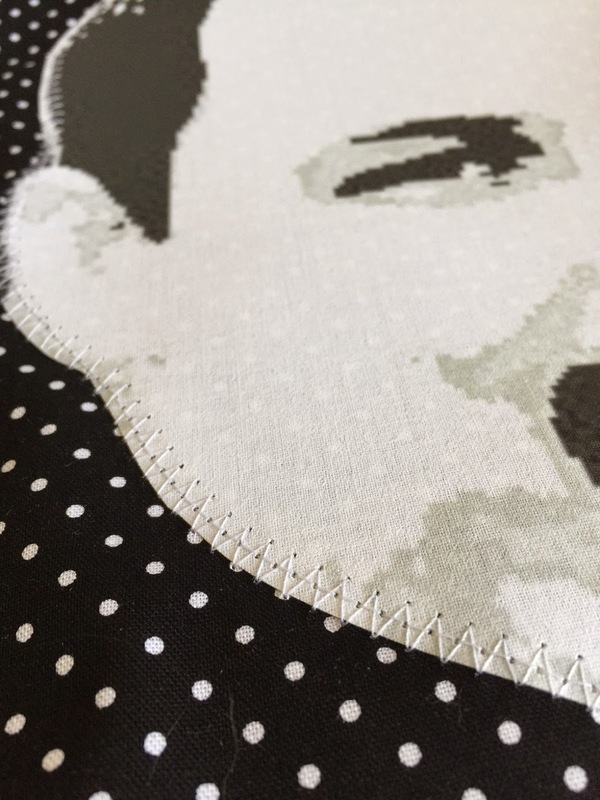 Then stitch around the face. 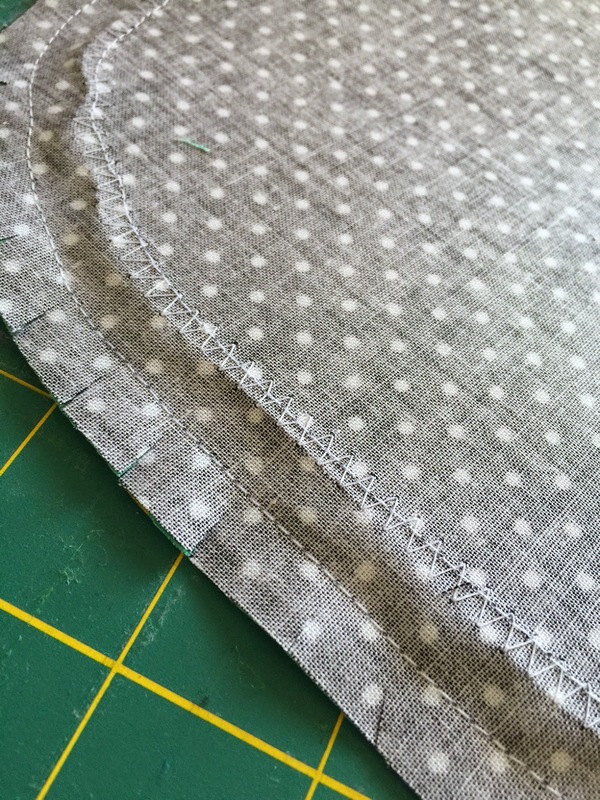 I like to do a zig-zag stitch and then a straight stitch on top of that. Trim around the edges leaving about 1 half inch and cut into those to allow for fabric movement. 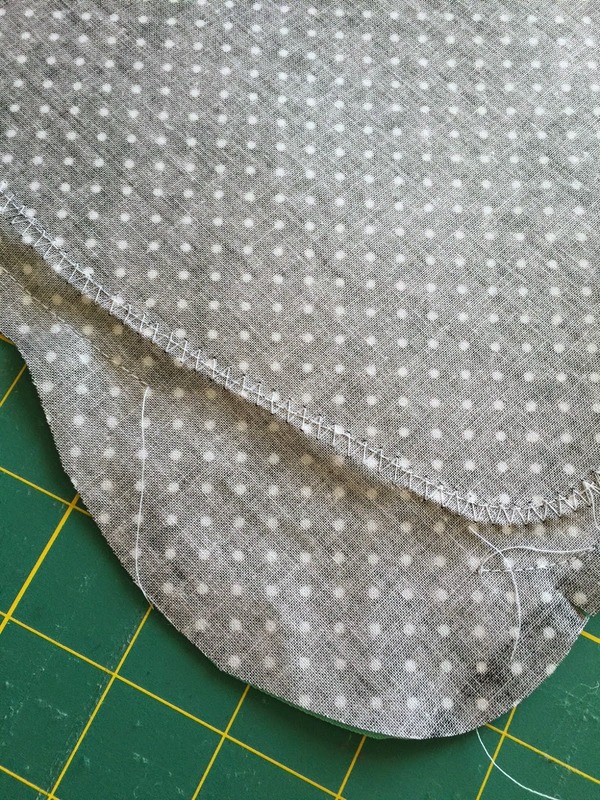 I like to leave the opening with a bit more fabric than needed just to make it easier to close. And then stuff it silly. 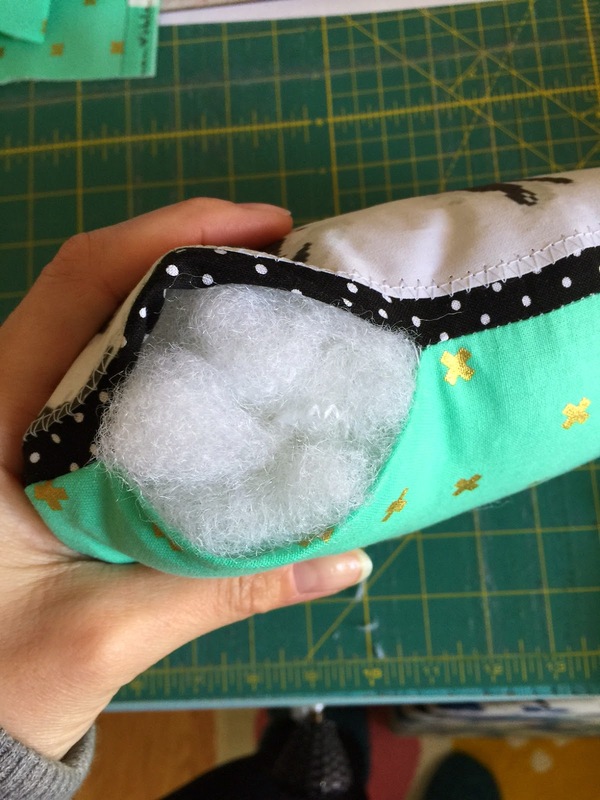 I stuffed these until they were VERY firm, even stuffing more in as I closed up the openings with a blanket stitch. You can't even see the opening here! And that's it! Easy peasy and sure to be a fun surprise as a gift! :) Hope you have fun making some! These are too cute!!! I am thinking my niece and nephew would love these. Maybe one or 2 in the library at school as well! Thanks for sharing!! !